I recently learned about this book and ordered a used copy from Amazon.com (also available online from other retailers). I really enjoyed it. to which we are deeply grateful." 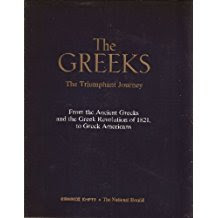 205 GREEK NAMES mentioned in the book. Greeks build oldest school in U.S.